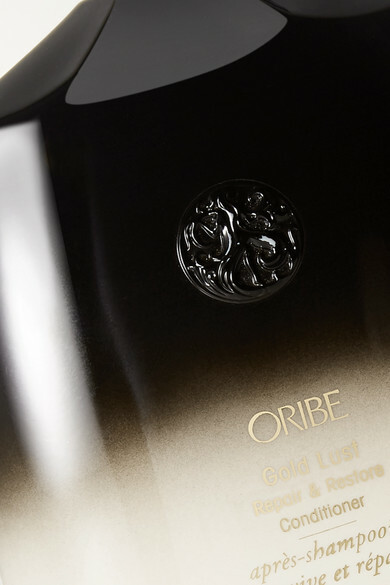 Transform overworked, tired tresses with Oribe's 'Gold Lust Repair & Restore Conditioner.' Enriched with Argan and Maracuja Oils, restorative Biotin and nourishing Shea Butter, it strengthens each strand, promotes growth and minimizes split ends. For best results, use it after the Gold Lust Repair & Restore Shampoo.